Dave Matthews Band performing at A Concert for Virginia Tech, September 6, 2007. Photo courtesy of Kevin Cupp. 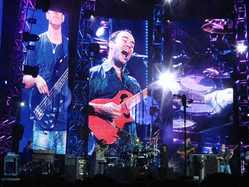 Kevin Cupp, “Dave Matthews Band performing at A Concert for Virginia Tech, September 6, 2007.,” The April 16 Archive, accessed April 20, 2019, http://april16archive.org/items/show/1395.